Capacity development in international transitions: Can it be used to shift the norm? This article was originally published at www.stoppingassuccess.org, the dedicated website for the Stopping As Success research initiative. 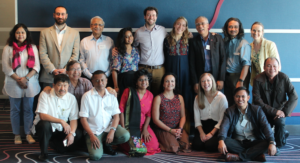 In this article, Grace Boone of CDA Collaborative Learning, part of the “Stopping As Success” consortium, discusses capacity development in transitions, particularly focusing on the theme of psycho-social support for local actors given on behalf of INGOs during the transition. Capacity development is a theme that appears throughout the 20 case studies documented by the SAS consortium to explore exit strategies and transitions in different environments. Whether it is through operational support, team building, or technical trainings, both INGOs and local actors develop each other’s capacity during and after exits and transitions. Acknowledging this power imbalance, the SAS consortium is eager to learn more about collaborative empowerment and partnership during transitions in regard to capacity development. Processes that support local ownership during and after INGO transitions require an authentic process rooted in the context where such transitions are taking place. CDA has documented lessons of evolving partnerships and their impact on local peacebuilding and development efforts during the Listening Project which engaged 6,000 people in 20 countries. Our book, Time to Listen, synthesizes an aid system that is not a collaborative nor empowering one for local actors. Two years into the SAS project, we have found a similar aid environment to the one Time to Listen described in 2012. Considering this aid system, INGOs in aid transitions are in a unique position to support the empowerment and confidence of local actors, depending on what their needs are. For example, in the Colombia case study, the balance between the INGO giving psycho-social support to local actors and giving the national staff space and creative freedom to create their own organization helped pave the way for a successful transition. 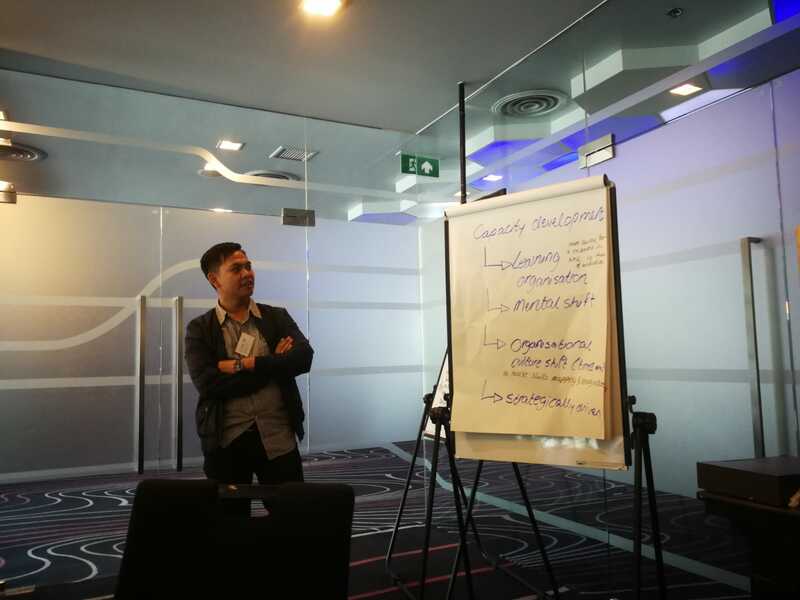 A participant discussing the role of capacity development at the Regional Review Meeting in Bangkok, Thailand that convened 17 practitioners from 9 different countries in Southeast Asia. A Way Forward for INGOs in Transition? Ultimately, listening and adapting to what people affected by and involved in the aid transition are saying is of upmost importance. However, there is still work to be done on this. According to a recent CDA blog post, shared control and decision-making about processes that affect the lives of those receiving aid could still truly be seen as revolutionary. 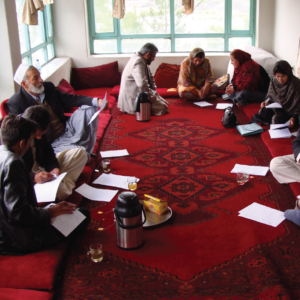 One question coming from this year of case study work has been how to guide INGOs toward analyzing inherent power dynamics and understanding ways to discuss empowerment, so transitions feel as collaborative as other design or implementation processes. In the Kenyan case study, Nuru instilled feedback mechanisms into their aid exit to ensure adaptive management was centered around staff and local actors’ feedback throughout the transition. This is one practical way to center the voices of those affected by the exit. As this learning effort continues into Year 3, which is our year of applying evidence to the program cycle so as to develop practical guidance and tools for INGOs, we will continue to share thoughts and reflections about this experience and to continue the conversation on responsible aid exits and transitions. Are you interested in this learning effort? Get in touch! The SAS consortium is eager to learn more about how INGOs are acknowledging the power imbalance and working in partnership alongside local actors during aid exits. 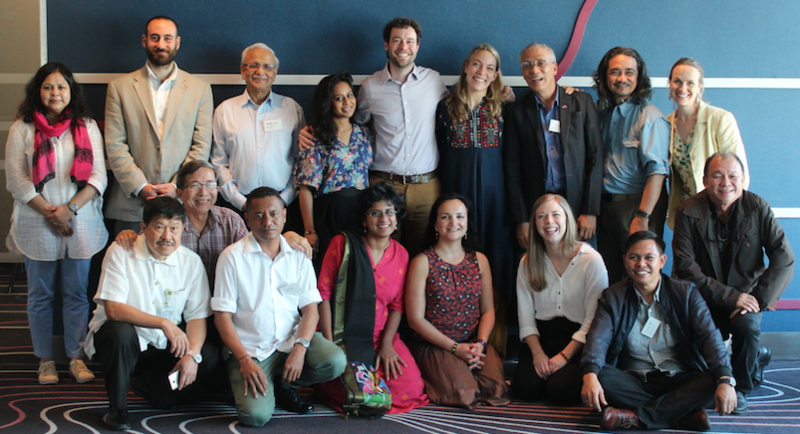 In March 2019, members of the SAS consortium came together for a Regional Review Meeting in Bangkok, Thailand,to discuss our case studies, continue to consolidate our findings, and get feedback on the most practical guidance tools to produce as the project moves forward. 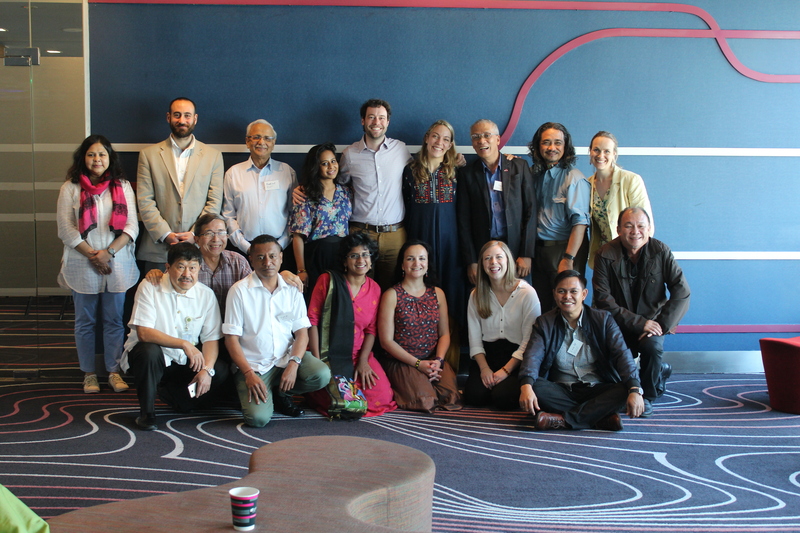 Participants from the Regional Review Meeting in Bangkok, Thailand. Subscribe to our mailing list to receive future posts from experts with unique insights, points of view, and experience on conflict sensitivity practice, monitoring and evaluation, policy, program design, and implementation. We hope to hear and learn from your reactions to our posts. Please comment below or contact CDA at feedback@cdacollaborative.org if you are interested in submitting a guest post.